FreshGrade is an e-portfolio platform whose name has been recently thrown around a lot in education . It appears that teachers and educators around B.C are using the app and have positive feedback to give pre-service teachers. The application is a way for teachers and students to capture and communicate learning on a continual basis throughout the school year. Typically, this is done by using an ipad or mobile device to upload photos, videos, audio recordings, and notes to it’s platform. Parents receive push notifications once something new has been uploaded and this gives them a window into the classroom and reveals the “messy” part of teaching, into the final polished product. We interviewed a teacher who has been teaching for over three decades, therefore has experience teaching both with and without the use of FreshGrade. She expressed that it makes classroom life more fun and sparks more conversation between children and parents. We got the opportunity to speak with David Haight, a FreshGrade representative who resides in Kelowna, B.C. He did a wonderful job at explaining the benefits of using FreshGrade and the inner workings of the application (this includes privacy, how easy the interface is to use, and the three apps). Parents also seem to be enjoying the use of FreshGrade in the classroom. Being away from your child for six hours of the day can be tough, however FreshGrade allows parents to receive videos and photos of what their child has been doing while at school all day. This really opens up the communication between teachers, parents, and students and allows parents to support their child’s learning at home. They can ask specific questions about a particular activity that the student did, rather than the child coming home and saying “I don’t remember what we did today”. 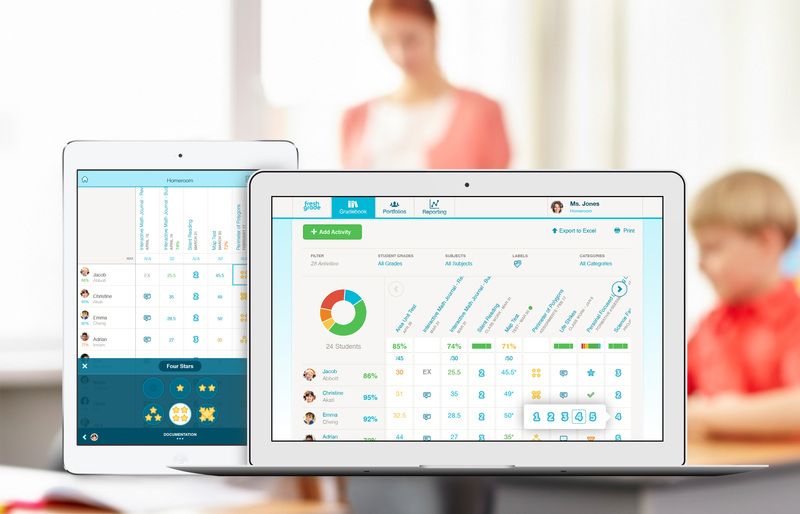 We interviewed a parent who has experience using FreshGrade and she believes it is a great resource for parents. Previous postMinecraft.. It is EVERYWHERE!